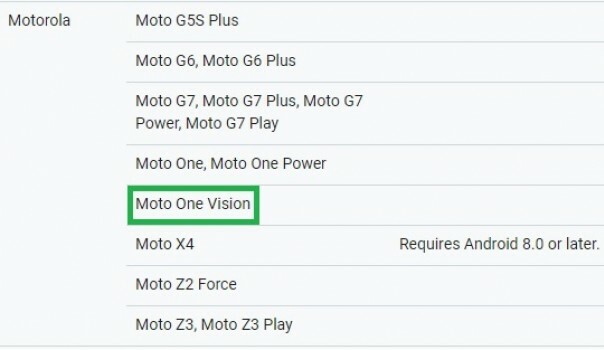 Motorola is expected to launch its first Exynos-powered smartphone dubbed Moto One Vision soon. Images and specs of the One Vision have already leaked, and now, the smartphone has been added to the list of ARCore supported devices on Google's website which hints at its imminent launch. According to leaked specs, the One Vision will be powered by Samsung's Exynos 9610 SoC and will run Android Pie out-of-the-box. 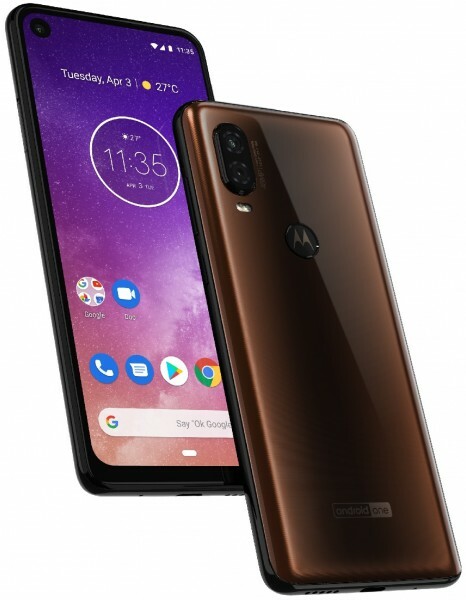 It will be an Android One smartphone and have up to 4GB RAM with up to 128GB of onboard storage. The One Vision will sport a 6.2-inch 21:9 Full-HD+ punch-hole display and feature a dual camera setup at the back with the primary sensor being a 48MP unit. It will pack a 3,500 mAh battery which will be charged through a USB-C port. There's no word on when the One Vision will go official, but it's reported to hit the Chinese market as P40.